Winchcombe is easy to reach, but once you’re here – you may find it difficult to leave! We’re only 10 miles from junction 9 of the M5 and only 7 miles from the A40 which links to the M40 at Oxford, about 40 miles away. You can park all day for just £1 in our Back Lane car park, next to The Library, GL54 5PZ, which is just a few minutes’ walk along Cowl Lane to the High Street. There is a shuttle service run by, A Private Hire, from Winchcombe Station (GWR) to Winchcombe town and Sudeley Castle, when trains are running. 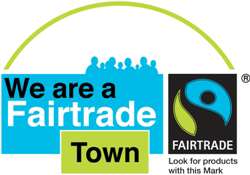 Being a Fair Trade town shows Winchcombe, has made a commitment to supporting Fairtrade and using ethical products licensed with the Fairtrade mark and sourced from producers in developing countries, including many farmers.